Create a login | Login Help? 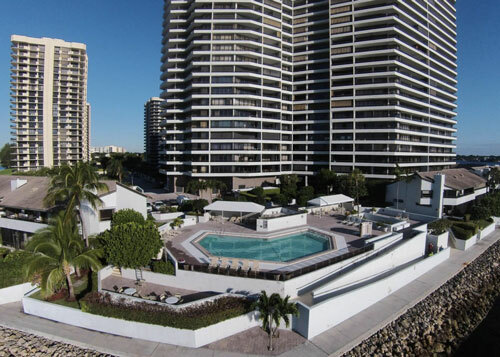 Located just off U.S. Highway One, on the beautiful sixty acre peninsula of Old Port Cove stands the showcase building of Lake Point Tower, surrounded by 12 two-story elegant Lanais. 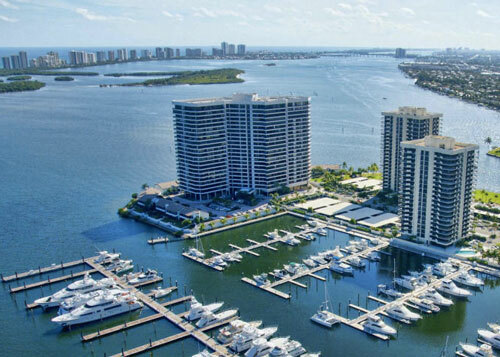 Situated on 3.17 acres of lush tropical land, Lake Point Tower Condominiums feature eight units per floor; all with spacious balconies offering dazzling panoramic views of Old Port Cove's Mega Yacht Marina, Splendid Lake Worth Lagoon, the Scenic Intracoastal Waterway and the Sparkling Atlantic Ocean. Enjoy the many amazing amenities of this luxury building including a large heated pool with Intracoastal view, hot tub and saunas, 24-hour front desk concierge, beautiful fully equipped fitness center, 2 large recreational rooms with kitchen, wet bar, pool table and TV, library, and assigned underground garage parking. Located in the heart of the Village of North Palm Beach, Lake Point Tower is just minutes away from glittering sand beaches, prestigious restaurants, spectacular shopping, lively entertainment and downtown areas, and only 15 minutes from Palm Beach International Airport. The property of Old Port Cove boasts its own private restaurant just steps off the 2 mile Intracoastal walk around the property, along with a private marina and 24-hour manned gatehouse. Copyright 2005-2019 © CondoSites - ALL RIGHTS RESERVED. Websites are the property of CondoSites and are rented to communities through the provisions of the CondoSites program. Do you love your community website? Tell your condo owning friends and colleagues!